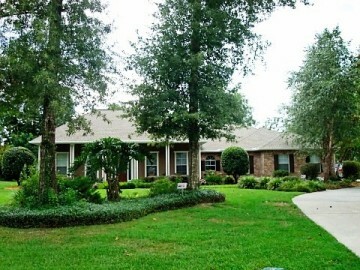 FSBO Homes for Sale: For Sale By Owner Home - Mandeville, LA. This Custom built Executive home located in the exclusive gated Hunters Glen subdivision features 4 or 5 bedrooms and 3 full baths with 3210 sq ft. of living space and a total space of 4420 sq. 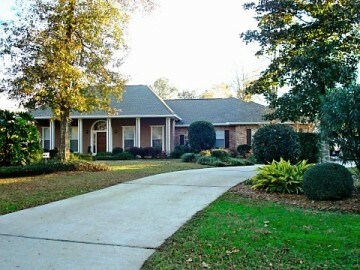 ft. under roof and is situated on approximately .50 acres. This elegant but comfortable home features an open floor plan with a great room, large kitchen with island, and family room. The home offers 9, 10 & 12 ft ceilings, crown molding, cultured marble tubs and counter tops in all bathrooms, surround sound, parking for four autos, large covered porch and patio, and an extra large master bath with hydro tub. There is also a separate storage room (12' X 9') attached to the garage. The side loaded oversized two car garage is air conditioned making it comfortable for indoor summer project work. The home is only 8 minutes from the Causeway Bridge with neighborhood access to the 31 mile paved Tammany Trace bike and running trail. Concerned about potential flooding and storms? The home is 24 ft. above sea level, with window storm panels and extra hurricane straps in addition to a safe room in the center of the home. The Kitchen (19' x 13') features ceramic flooring, solid wood ash cabinets, ceramic counter tops, breakfast bar and island plus a separate dining area with walk-in-bay window and ceiling light fan fixture. The appliances include built-in double ovens, smooth top range (gas or electric), and dishwasher. This Kitchen is beautifully color coordinated with lots of natural sunshine and an abundance of overhead light including recessed and track lighting. The Spacious Great Room (23' x 19') features artistic concrete flooring, gas log fireplace, two suspended overhead ceiling light fan fixtures, a large wall of windows and lovely built-in book shelves. The open floor plan and large designer windows establish a home with an abundance of natural sun light creating a lively, extra spacious home. The Formal Dining Room offers beautiful cherry hardwood flooring, suspended chandelier and is graced with natural sunlight from the two windows. This lovely dining room will afford you many good memories of fine dining with family and friends. The Family Room (16' x 17') can be used as the 5th bedroom. This room features a tray ceiling with ceiling light fan fixture, wall to wall carpeting and is wired for surround sound.. The French doors lead to the patio and offer an outside view. It has a closet enabling it to be converted to a 5th bedroom if so desired. The Master Bedroom (18' x 16') has wall to wall carpets and lovely tray ceiling plus a ceiling light fan fixture. An oversized bath with a Whirlpool Tub for relaxing after a long day also has a stand alone shower, lots of mirrors with over mirror and ceiling lighting. The second, third and fourth bedrooms feature wall to wall carpets, large closets and ceiling light fan fixtures. 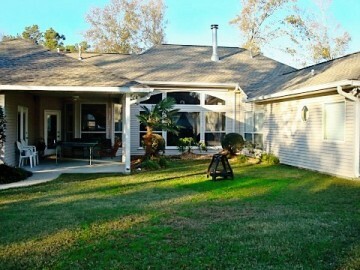 The Covered Front Porch measures 41' x 7' and offers a relaxing off-street view of the neighborhood. The Covered Back Patio is 18' x 13' , is located off the kitchen and offers you a spacious area for private outdoor BBQ and summer enjoyment. This home is in immaculate condition and is one you will not want to miss if you are a discerning buyer searching for elegance and simplicity graced with comfort and charm. 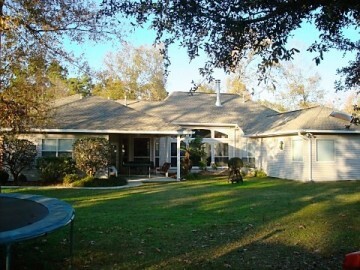 This home features too many amenities and well thought out construction concepts to mention. To appreciate these extras such as above average insulation, heating and cooling capacity, and storm protection to mention only a few, you will want to visit this home and obtain a full appreciation for the builders thorough planning. Directions: Traveling on I-12 take exit 65, Hwy 59, South for approximately 2.8 miles turning right into Hunters Glen subdivision and call for entry code. Upon entry take immediate right onto Browning Loop traveling .2 miles and see 484 on the left. Traveling Lake Pontchartrain Causeway turn right on E. Causeway Approach toward Hwy 190, traveling 1.5 miles to 190 (Florida St), turning right on Florida. Travel .8 miles to Hwy 59/ Gerard St turning left traveling 1.2 miles to Hunters Glen Subdivision on left following instruction above.